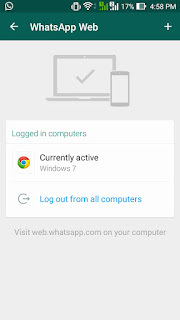 With the release of Whatsapp web version, we no longer need any android emulators to use Whatsapp on pc. Recently, Whatsapp developers released a feature with which we can use whatsapp in any browser. This process of using whatsapp web version is pretty simple and probably the most secure way to use whatsapp on pc/mac. Recently whatsapp released web version. 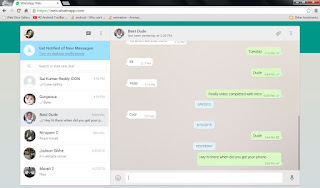 Before this web version, the only ways to use whatsapp on pc is through installing bluestacks and youwave android emulators on pc. But for this process you don't need to install any third party softwares. Your Phone must support qr code scanning. Not all phones that has a camera can support qr code scanning. Currently, only Android and Windows phones support qr scanning. 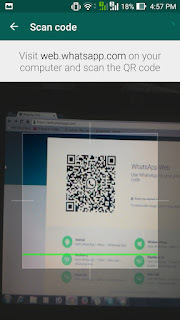 If your phone doesn't support qr scanning, follow this tutorial. You phone must have latest version of whatsapp installed from playstore. By the time you are reading this tutorial, I assume that you have chrome browser installed in your computer. If you haven't installed yet, download chrome browser for windows/mac from here. When the download is complete, just install it and follow the below steps to use whatsapp web version. -> Open web.whatsapp.com in your chorme browser and wait for the webpage to load. For the first time it takes some time depending on your internet speed. -> When the website loads, you will be shown a qr code. -> Now click WhatsApp Web option in your phone and scan the qr code shown on the screen. -> Once the scanning is complete, you can see all your whatsapp contacts and conversations in your browser. That's it guys, now you can use whatsapp completely in your browser. If you face any problem, feel free to drop a comment. 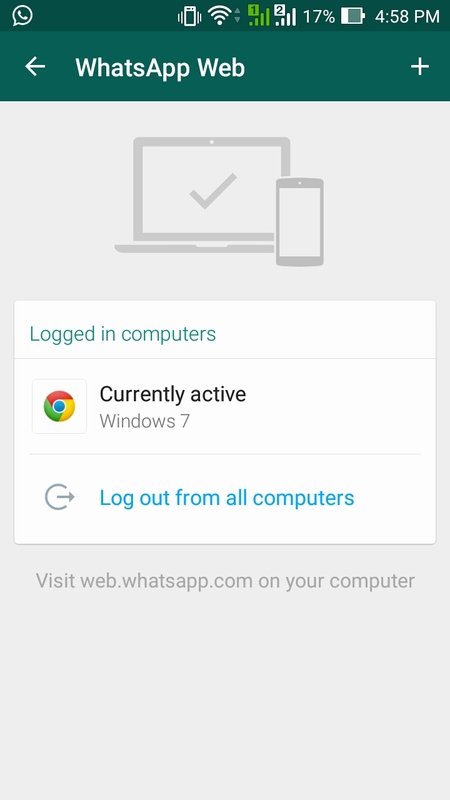 When you ever want to logout of whatsapp from chrome, then go to WhatsApp Web option in your mobile and click logout. Note: Currently Iphone users cannot use WhatsApp Web version as they do not support qr code scanning. No worries, you can follow the below tutorial to use whatsapp on your pc. If you follow this tutorial correctly, you should be using the web version of whatsapp by this time on your chrome browser. If you like the post, be sure to share it.